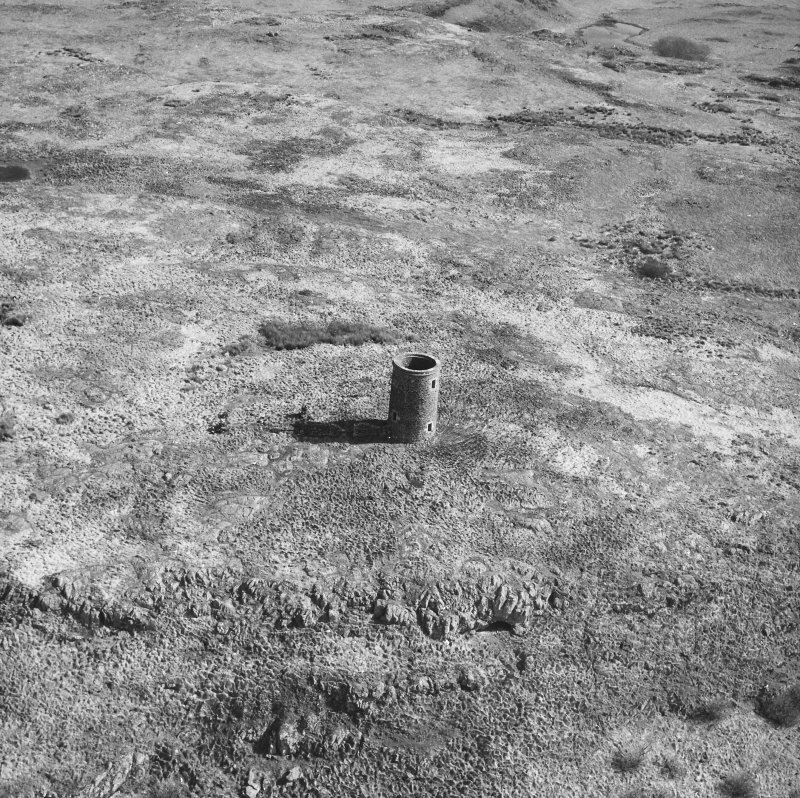 General oblique aerial view of Little Cumbrae Old Lighthouse, taken from the ENE. 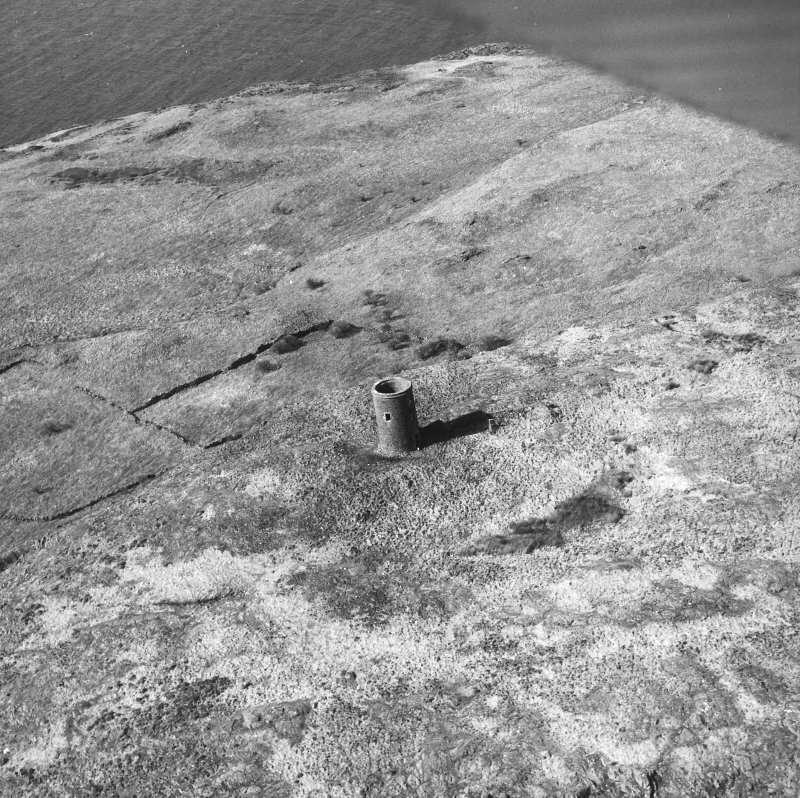 Oblique aerial view of Little Cumbrae Old Lighthouse, taken from the WSW. Location formerly cited as NS 1431 5146. For (successor and present) 'new' lighthouse (NS 13760 51514), see NS 15SW 15.00. (Location cited as NS 153 314). Old Lighthouse, erected 1757. 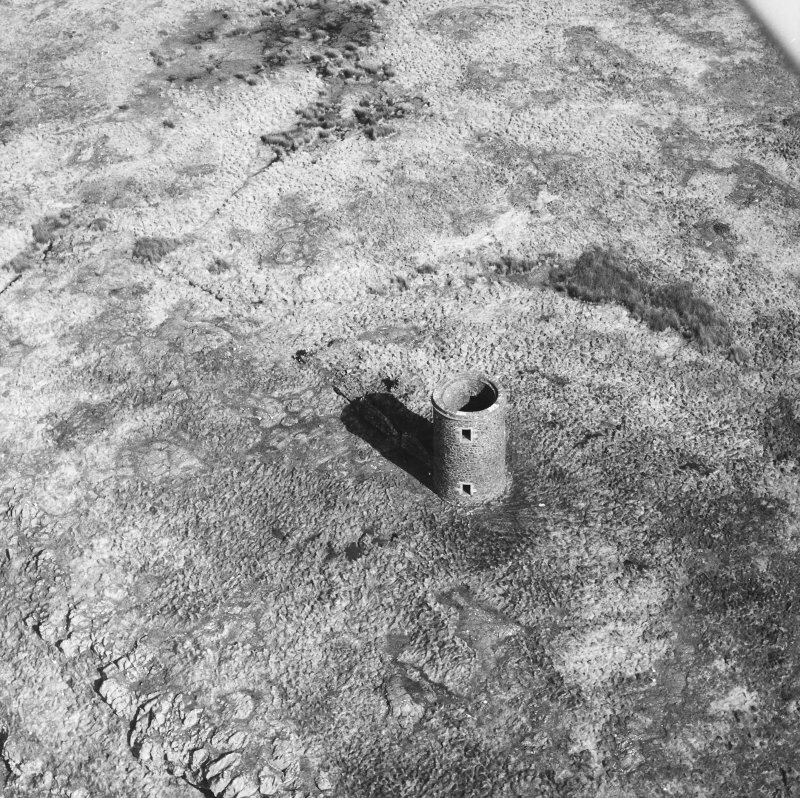 A plain circular tower restored by the Clyde Lighthouses Trust in 1956 after being disused since 1792. The remains of a rectangular keeper's cottage survive to the N.
Coal-fired, erected 1757. A plain, circular tower, restored in 1956 having been disused since 1793 (when it was replaced by NS15SW 15). 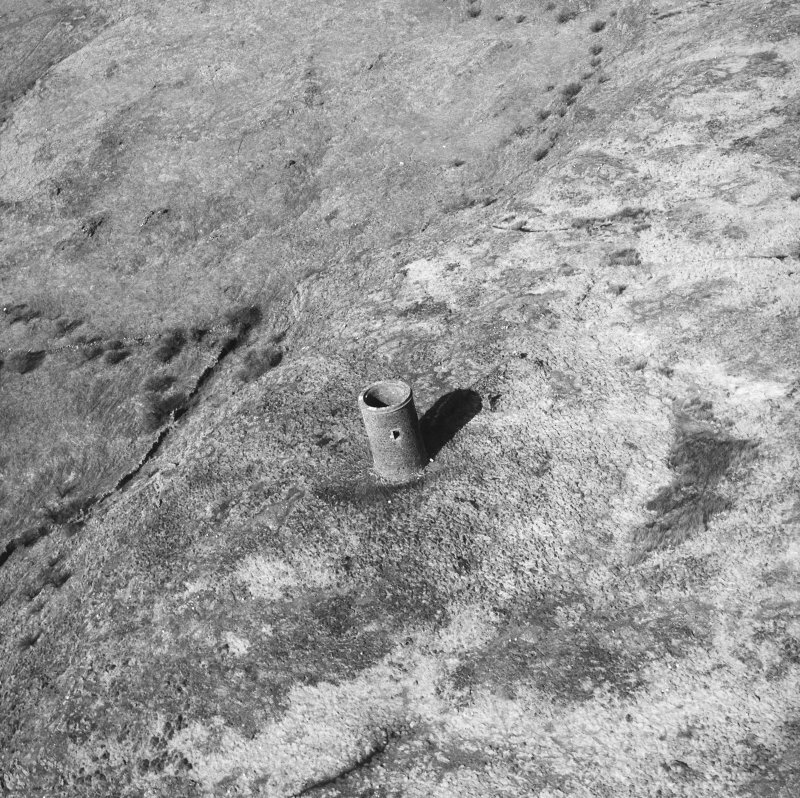 Remains of a rectangular keeper's cottage survive to N.
The exercise was a general survey of the island to report on the condition of known sites and to identify and record any new sites. 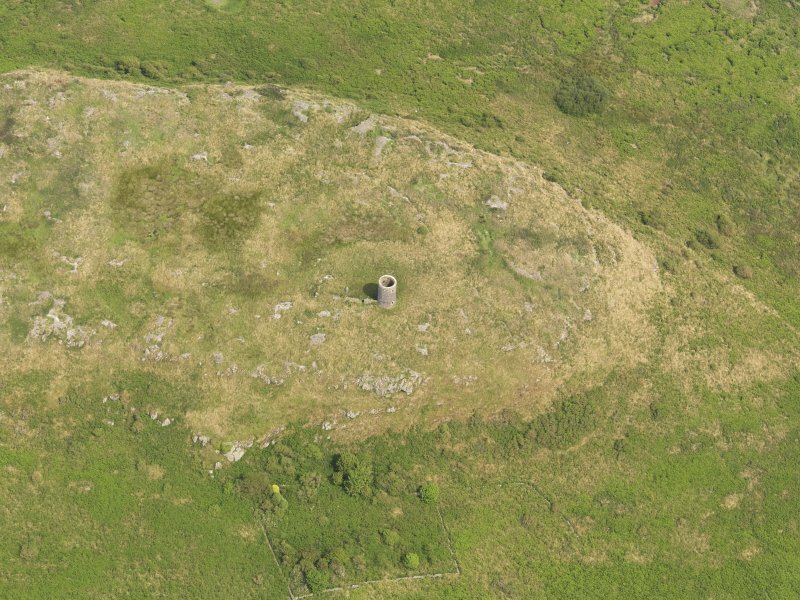 The survey was carried out by members of ACFA and the Cowal Archaeology & Historical Society in March 1996. A copy of the full report has been lodged with the NMRS. NS 1431 5146 18th-Century lighthouse. E B Rennie and J Macdonald 1996. Coal fired. Replaced in 1793. Glasgow and founded by an Act of 1756 to make navigation safer for vessels plying to and from the Clyde. 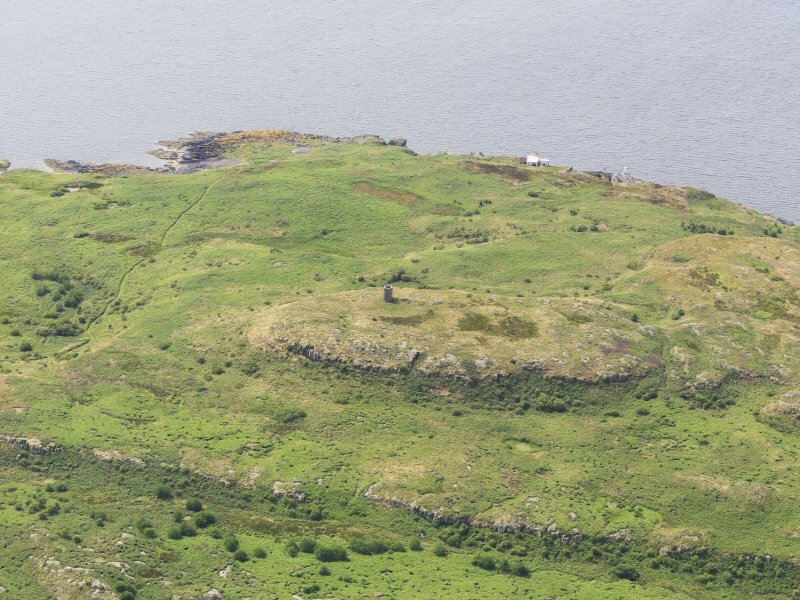 Besides building a lighthouse, dwelling house and a wharf for landing coals and other materials at Little Cumbrae, a ‘proper fire or light’ was to be maintained ‘in the nightseason’. 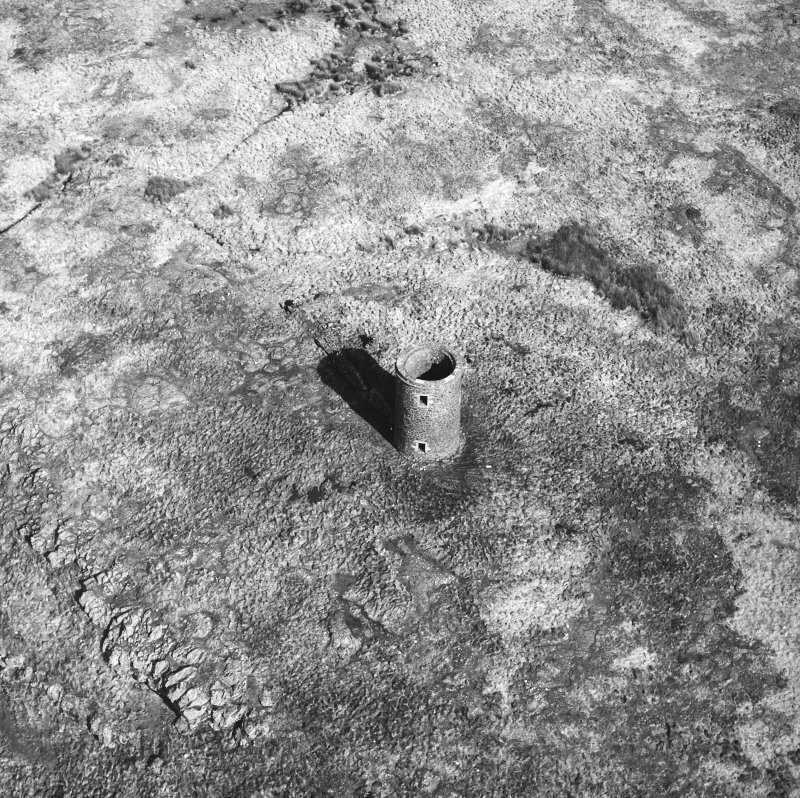 A circular stone tower about 30 ft high with walls 3 ft thick was built on the highest part of the island, supporting a cage or grate of iron containing an open coal fire. The tower still exists. enabled a new and improved lighthouse to be built near the coast to the west in 1793 which is still in service.